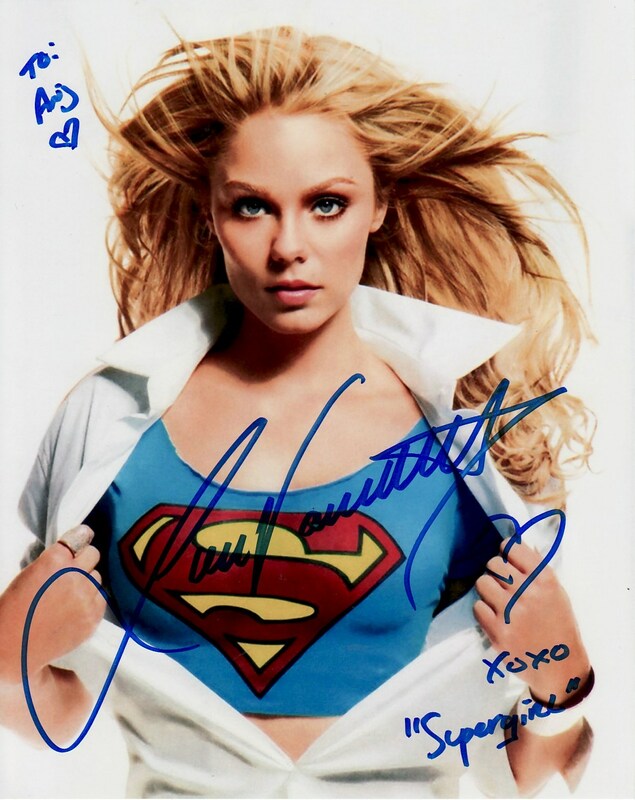 "She played a strong, proactive, less moping Kryptonian on Smallville, often outshining her more famous cousin." I agree. She was great. And apparently the show-writers had a trouble with that. "She seemed to agree that Kara having total mastery of her powers made her detract from Kal and so she needed to be sent away. Just think of all they did - amnesia, sent away, and ultimately cast into the future so 'Clark could fulfill his destiny'." Hence, she must be depowered or killed or cast into the 31st century... So Superman can play the Ultimate Hero and Sole Survivor of Krypton without her silly relative hanging around and making him look worse, weaker or less unique. Sigh. I don't blame the characters, of course. I blame the writers and editors. "She liked the cover and flipped through the book which was pretty cool too." She had never read the Smallville comics? The real, real good Smallville comics. Sometimes I think a "Supergirl/Smallville" crossover in where Smallville Supergirl gets stranded in Earth-38 for a bit would be cool. Yes, I know Vandervoort played Indigo, but there're ways to wave that detail away. 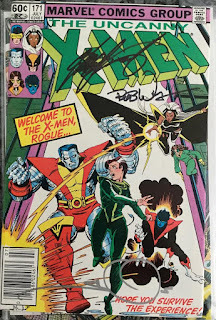 "Anyways, I also got some comic signatures from Bob Wiacek. 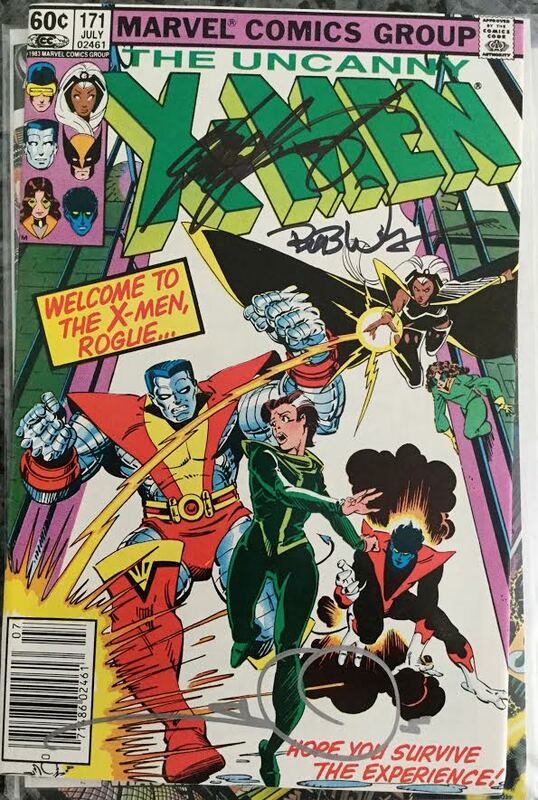 That means my Uncanny Xmen #171 now has sigs from the main trifecta - Claremont, Simonson, and Wiacek!" That's cool. I was a X-Men fan back in the day, before Marvel did everything in their power to get me to drop the book and the franchise. They succeeded. I've asserted on other boards now lost in the mists of time, that Vandervoort SMOKED Tom Welling like a cheap cigar all thru her "Supergirl Year" on Smallville...they'd have scenes together where she is emoting and engaging with the characters around her and generating energy whereupon the camera would cut to Welling (for his contractually obligated close up) and he is just staring open mouthed into the camera like a crash test dummy. I am sure the producer's saw the rushes and started plotting Vandervoor's departure from the show early on. And yes it is funny that all these creatives going back to murderous Marv Wolfman think "Supergirl is a Problem to be Solved" but there is a word for that its called "Sexism". Glad you got a chance to chat with her....I think she'd make a dandy "PowerGirl" from Earth 39 or something, she was covered with enough blue makeup as Indigo to make such casting easy and fun.